So-called "protoplanetary disks" in the Orion Nebula (M42). Credit: NASA/ESA and L. Ricci (ESO). Are the elongated blobs of gas and dust observed within various nebulae the signature of star-birth? 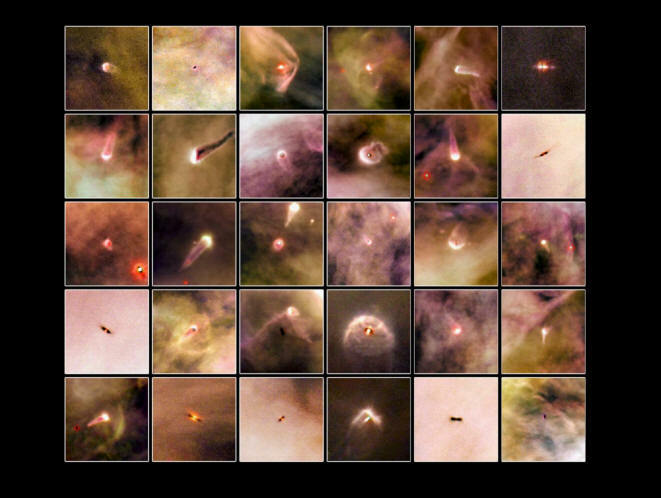 A recent press release from the European Space Agency (ESA) highlights images from the Hubble Space Telescope that are said to reveal "baby stars" called proplyds (PROto-PLanetarY Disk) within the Orion Molecular Cloud complex. Such dusty aggregations are thought to be where gravity is pulling wispy gases together until they reach pressures sufficient to ignite thermonuclear fusion. According to the Nebular Hypothesis, the remaining clumps of dust and gas that are not absorbed by the newly minted star swirl around, attracting more stray bits, until they also condense, but this time into planets. It is said that our own Solar System was created in a similar "stellar nursery" billions of years ago. A previous announcement from ESA's XMM-Newton x-ray telescope revealed “flowing plasma” at over one million Kelvin, along with x-ray emissions, in the same regions where the supposed star factories are located. Astronomers were surprised by the discovery, because no one expected to find “hot gas” within a cloud of cold vapor. At last count, over 700 new stars are said to be forming inside the nebula. Although stars of any class are thought to be x-ray sources, no nebula is supposed to possess the intrinsic energy necessary to generate them. The investigators believed that they knew where the plasma and x-rays came from, the collision of “high velocity winds emitted by stars.” In other words, in the heart of the nebula, stellar winds cause “shock waves” to raise the temperature in the environment to millions of degrees. 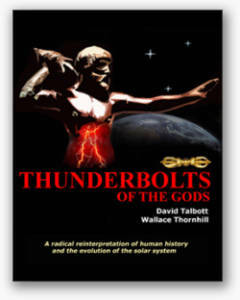 The plasma they identified is really meant to refer to hot gas with no reference to its electrically active component. Star-forming regions are conventionally associated with high frequency light from their active regions. Gamma rays, x-rays, and extreme ultraviolet shine from the "cosmic eggs", and appear to be the glowing tips of condensed gas balls. One of the most iconic images in modern astrophotography is the famous "Pillars of Creation" in the Eagle Nebula. The tops of the clouds, with their Q-tip structures, x-ray radiation, and compact shapes are also deemed to be stellar nurseries, where standard theories meet colorful pictures. 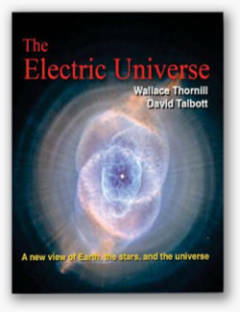 That gas can be heated until it gives off x-rays without stripping electrons from the nuclei, or that a “wind” of ionized particles is not an electric current, or that the only way for charged particles to accelerate is through shock waves is seriously limiting. It betrays a reactionary viewpoint despite the evidence of observations. 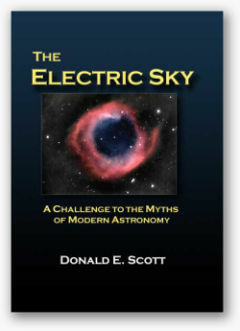 The Electric Star hypothesis resolves many of the distorted opinions that arise from misunderstanding the role of plasma and electric fields in space. Rather than kinetic activity (heated gas), the Orion Nebula’s radiant emanations result from electric currents. Electric discharges in a plasma cloud create double layers, or sheaths, along the current axis. Positive charge builds up on one side and negative charge on the other. An electric field develops between the sides, and if enough current is applied the sheath glows, otherwise it is invisible. Electric currents flow along the sheaths. In plasma, the currents spiral into filaments, or double layer tubes. The filaments attract each other, but rather than merging they spiral around, gradually pinching down into arc mode discharges. Electric sheaths that are normally invisible are "pumped" with additional energy from galactic Birkeland currents in which they are immersed. The excess input power pushes them into "glow mode", while increased flux density draws matter from the surrounding space into filaments that ignite the nebular "gases" electrically. It is in this way that stars are born. Gravity, although it plays a small role in stellar evolution, is far too weak a force when compared to an electric field and ionized particles.